My kitchen's rather small, I guess they always are as we keep piling on the utensils! 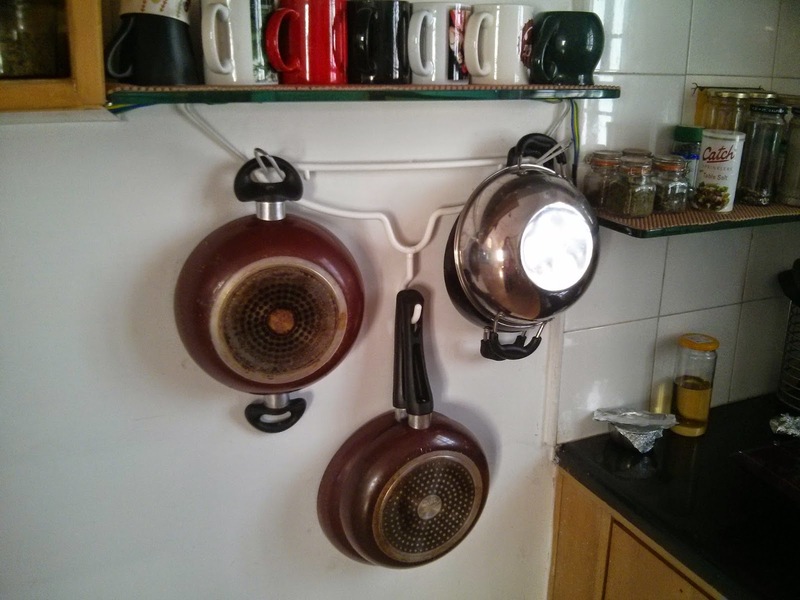 I recently purchased a kitchen robot which came with many attachments so I had to make space in my cupboards. Also, since I'm renting my flat, I avoid making holes in the wall. Doesn't look that great but it's not a sore sight either. And it's hard to discern considering how my mother-in-law failed to realize that it was actually a cloth hanger! I used some hard wire from an old broken cloth drying stand (the same I used for the lid holder), bent it to a certain angle and fixed the hanger right in. 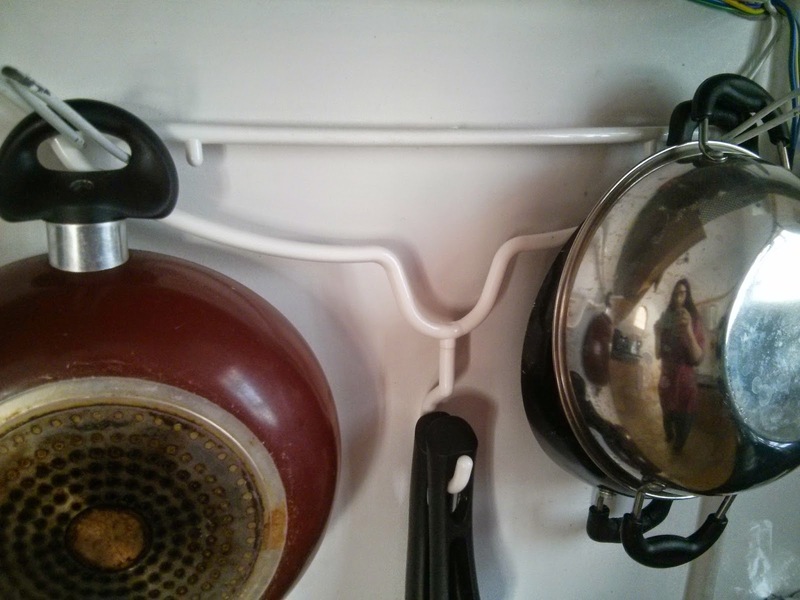 Now my saucepans and kadais are easily accessible and I have more space in the cupboards. Job done! !